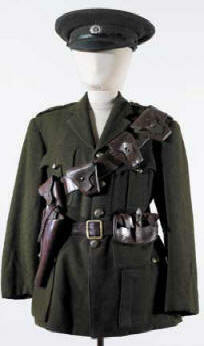 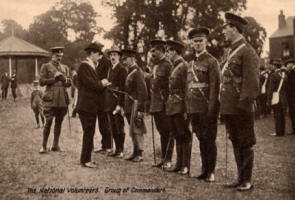 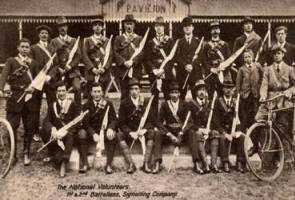 Comprising tunic with complete buttons, peaked cap with white metal badge, stamped inside, belt, holster and bandolier. 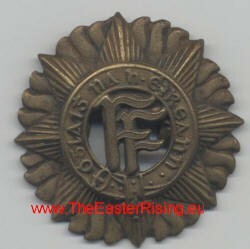 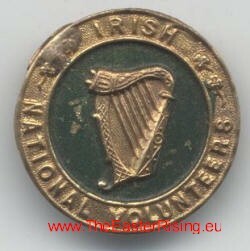 1916 Reversible Button Hole Badge depicting an Irish Citizen Army volunteer outside the GPO (Dublin) In Gaelic lettering on the face it states "eireocaimid aris" (we will rise again) along with 1916. 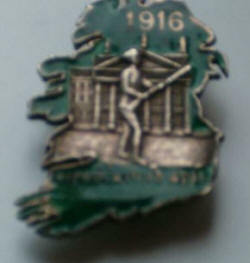 On the rear the buttonhole has 1916 filled in enamel. 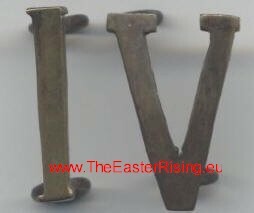 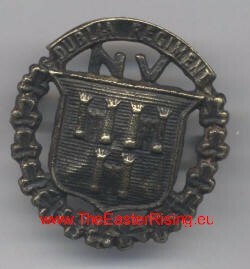 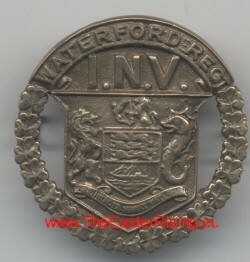 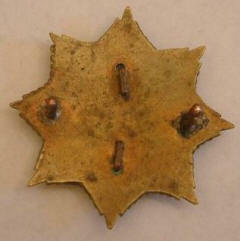 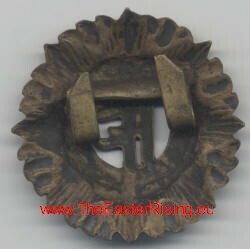 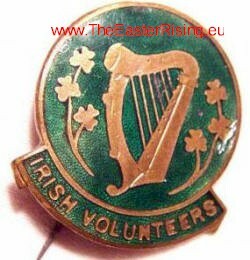 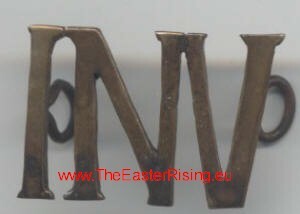 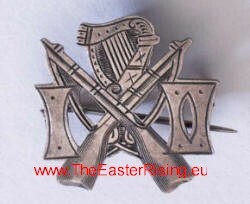 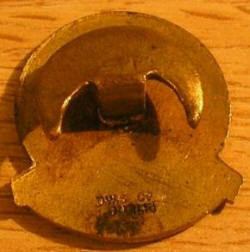 Button hole badge of the Irish Volunteers made of brass with dark green enamel inlay. 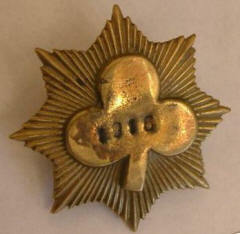 This example of the badge had a pin added later , the photograph of the back is how it should look. 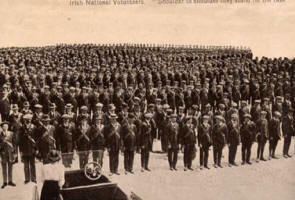 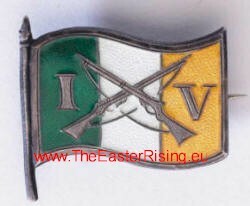 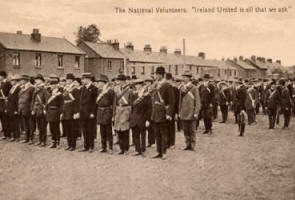 The Defence Forces cap badge (1924) is based on the badge of the Irish Volunteers that was designed by Professor Eoin McNeill. 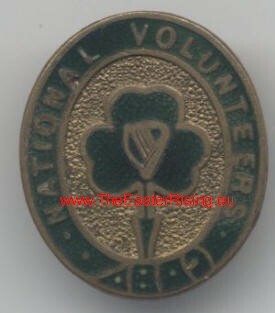 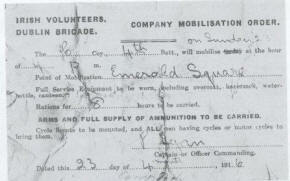 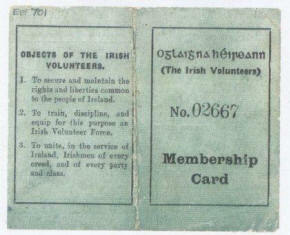 It was adopted by the volunteers as the official badge in 1914. 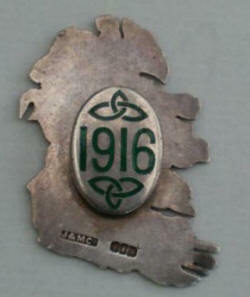 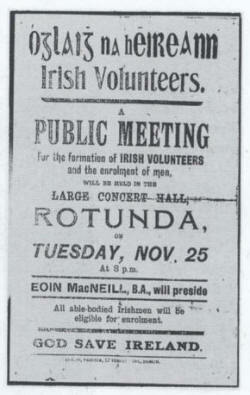 The "FF" in its centre signifies "Fianna" the third centaury ancient military organisation and " Fáil" meaning destiny..